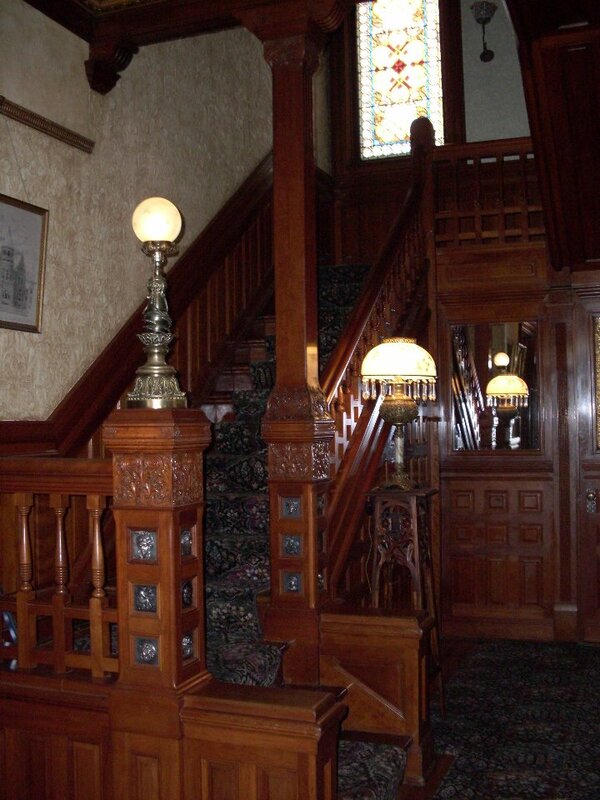 The Nagle Warren Mansion was built by Erasmus Nagle in 1888. It is one of the few remaining fine homes built during the 1800s, when Cheyenne was the richest city, of its size, in the world. Mr. Nagle came to Cheyenne in 1867 to engage in the grocery business. He had previously been a merchant in the mining towns of the Colorado Rockies. His business in Cheyenne grew to become one of the most extensive in what was then the Dakota Territory. His business interests became quite diverse and he was a key player in expansion into the Black Hills when gold was discovered there. Unfortunately, Mr. Nagle was able to enjoy his mansion for only about two years. He died of peritonitis leaving a wife, Emma Jane (Houseman) and a son, George. The Nagles rented the property to General George Randall, from 1907-1910. In April 1910 the property, at 222 East 17th Street, was sold to Senator F.E. Warren and his second wife, Clara LaBarron Morgan. 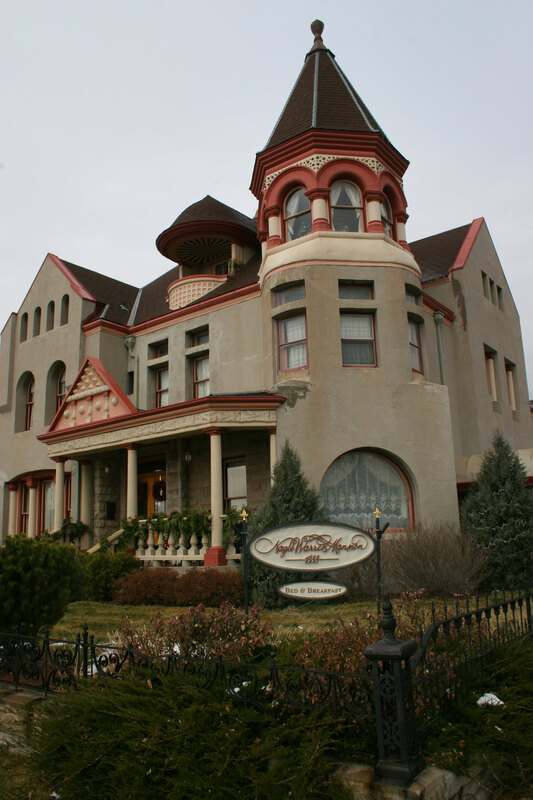 Upon Senator Warren’s death in 1929, Clara gave the mansion, fully furnished, to the Young Women’s Christian Association (YWCA), for use as chaperoned housing for single women and as a social venue for the people of Cheyenne. It was during the “Y” period that the building contractor’s words proved true and the soft stone exterior began to crumble. In order to preserve the building, it was covered in stucco circa 1960. Don and Barbara Sullivan purchased the house in 1985 and raised their family in the home. The property was sold to Jim Osterfoss in 1997, at which time it was restored to its current state and turned into a bed and breakfast. The mansion has many elegant features, suitable for its location on Cattle Baron’s Row. Those of special note include: the Moorish style tile on the vestibule floor; the original Moroccan chandelier in the entry hall; the carved leather ceilings; original stained glass and crystal windows; cherry paneling in the foyer; parquet floors throughout the first floor; two cast brass fireplaces with mirrors to the ceilings; massive pocket doors; a marble library fireplace; and impressive oak woodwork in the dining room, library and sitting room. Details worthy of particular note are: the bronze medallions set in the front doors and newel posts, elaborate detail on the doorknobs and hinges, oak galleries over the dining room windows and door, and two large paintings in the parlour that Mr. Nagle commissioned for the house when it was new. The stone carriage house was originally the stable for the mansion. It was built to accommodate carriages, four horse stalls, a tack room, hayloft, and a groom’s room which housed both the groom and the butler. There was also an area on the main level in which horses were hitched, unhitched and washed. When automobiles came on the scene the north door, on the House Street side, was widened and a mechanic’s pit was added. In 1934 the YWCA installed a dance floor and stage. Later, storage was added in the back of the building, along with a small kitchen, bath and dressing room behind the stage. During that period it was known as the “Y Playhouse” and was used by many community groups for dances, classes, meetings, church services and other events. Behind the carriage house is the original stone smoke house. The mansion has eleven guest rooms and one suite. Each has its own bathroom. Six of the rooms are in the main house and six are in the carriage house, which is now connected to the main house. The third floor tower room (in the main house), the snuggery and the balcony are available for guest use, as is the workout room on the garden level. Public areas of the home include the parlour, sitting room, dining room and library as well as three conference rooms on the garden level. The grounds include a hot tub room, patio, fountain, and gardens.